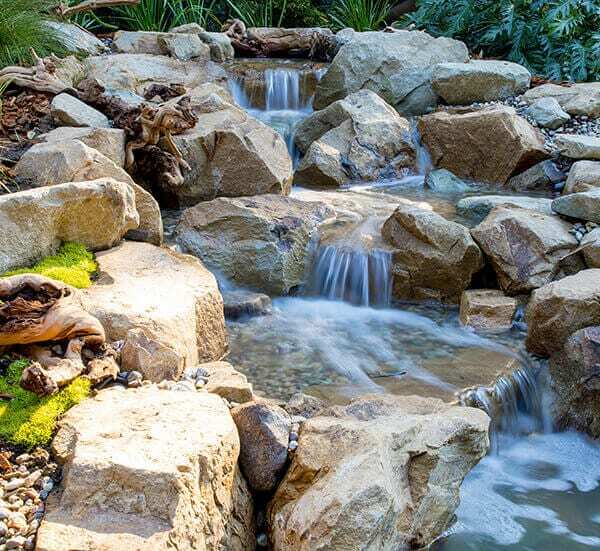 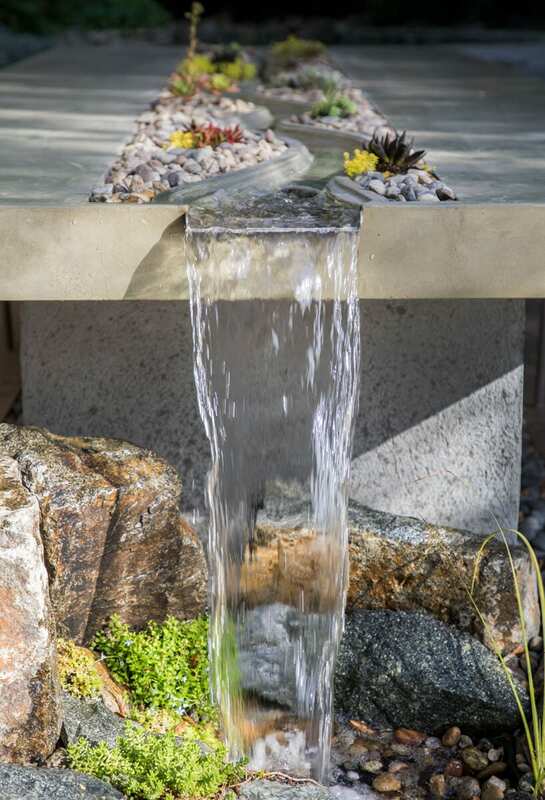 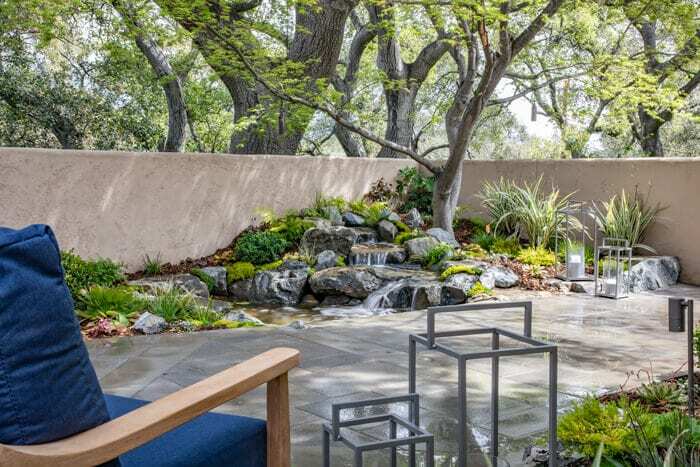 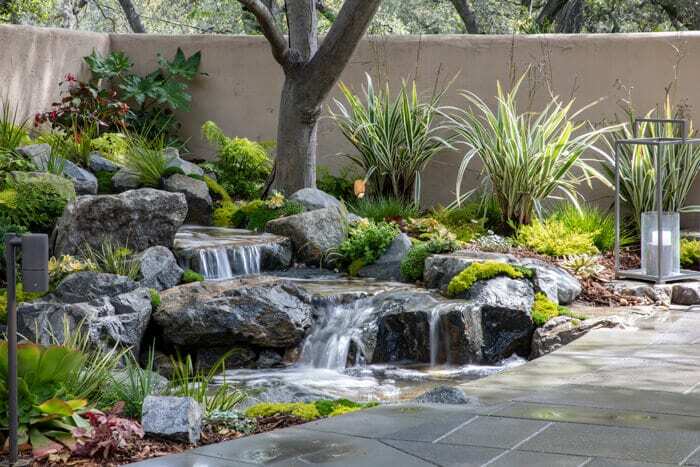 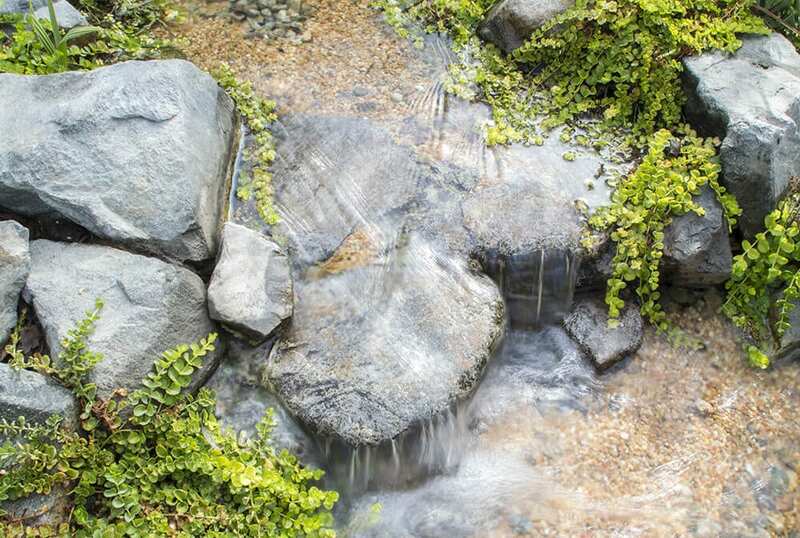 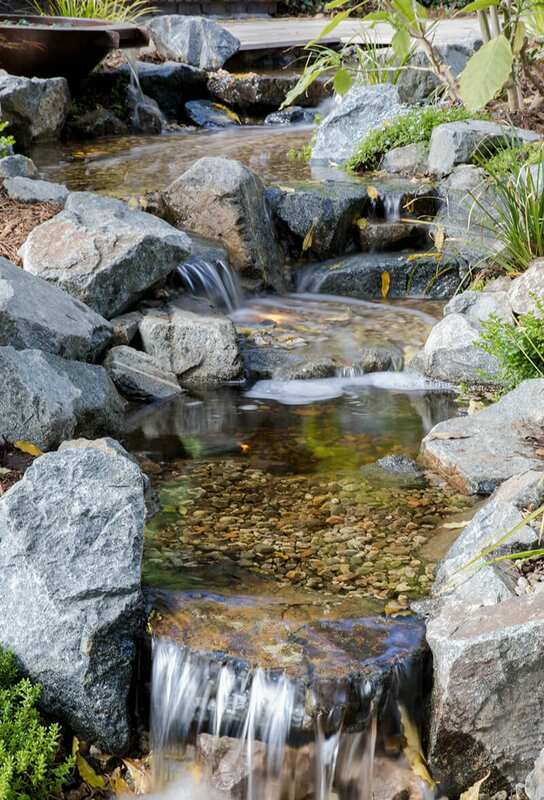 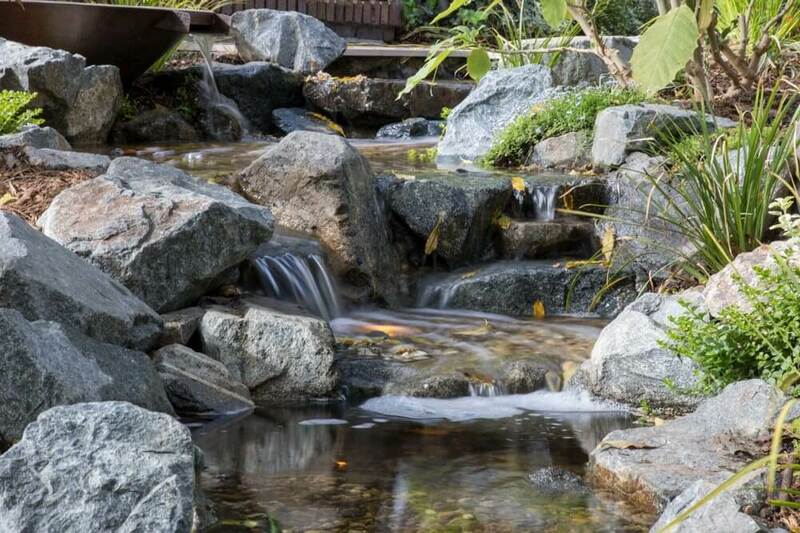 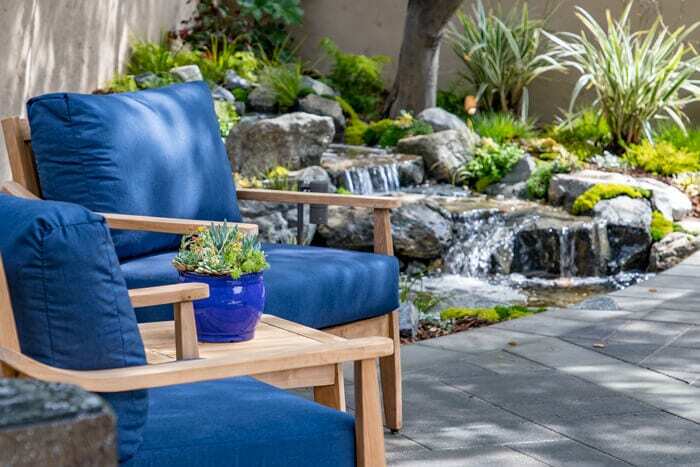 Take a moment to listen, let the tranquil sound of a babbling brook fill the air around you – welcome to our space at the Pasadena Showcase House of Design. 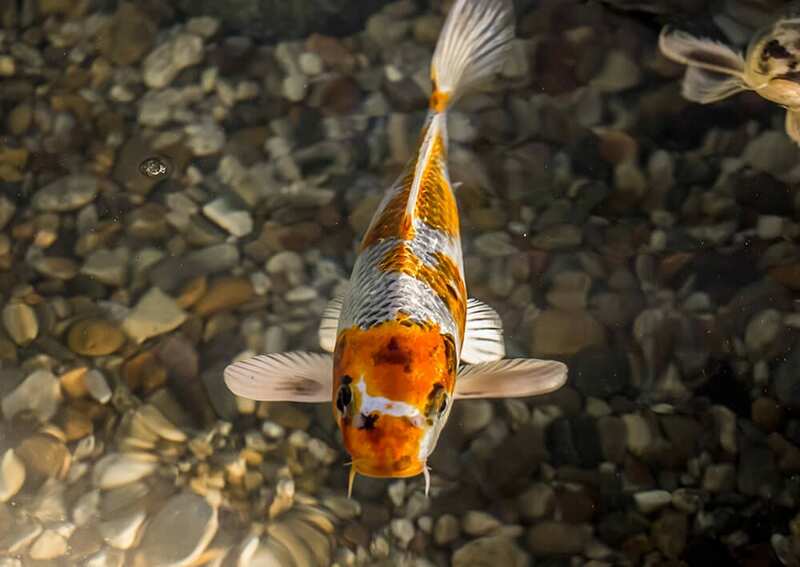 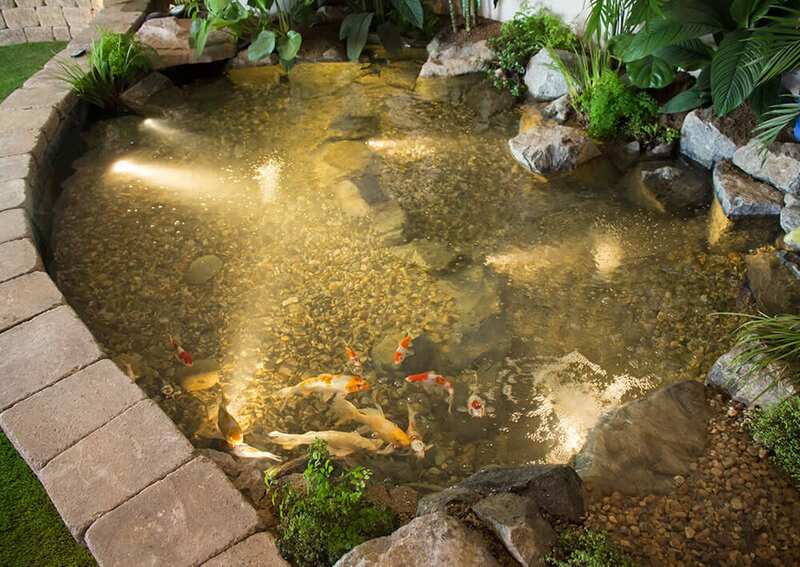 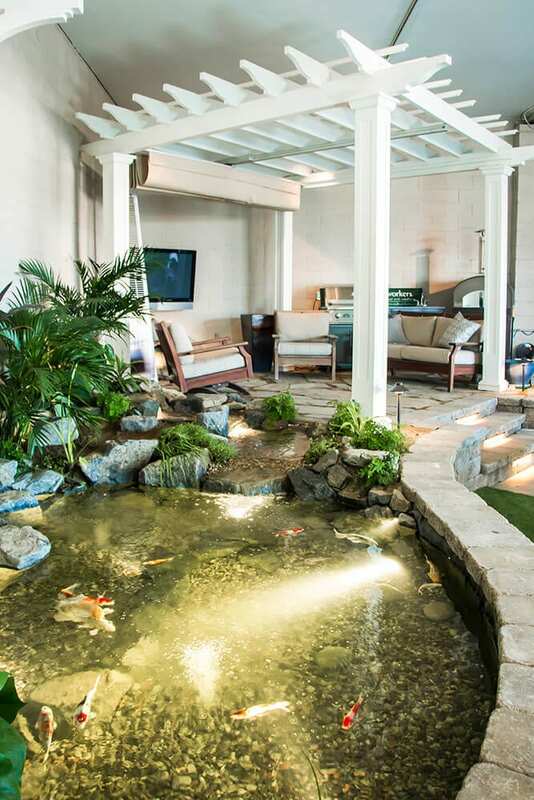 Perhaps one of the most picturesque views of this estate, the oasis features a beautiful collection of koi fish, gracefully swimming in a 5’x8’ pond. 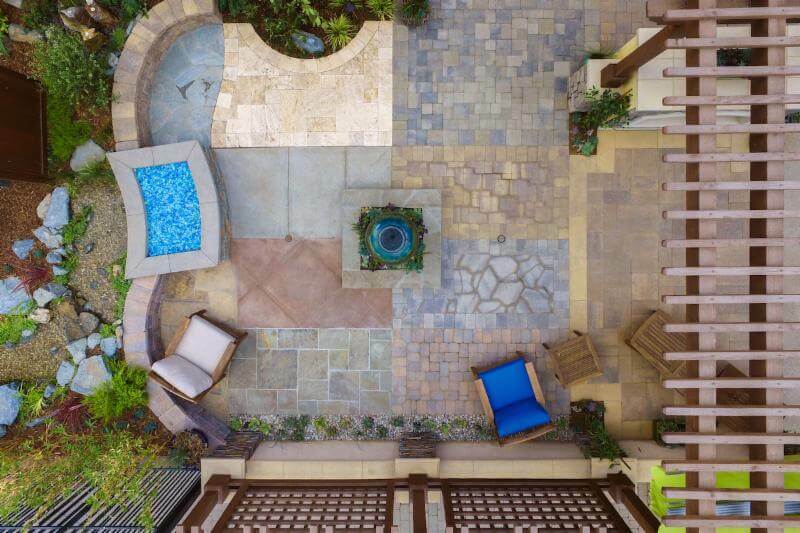 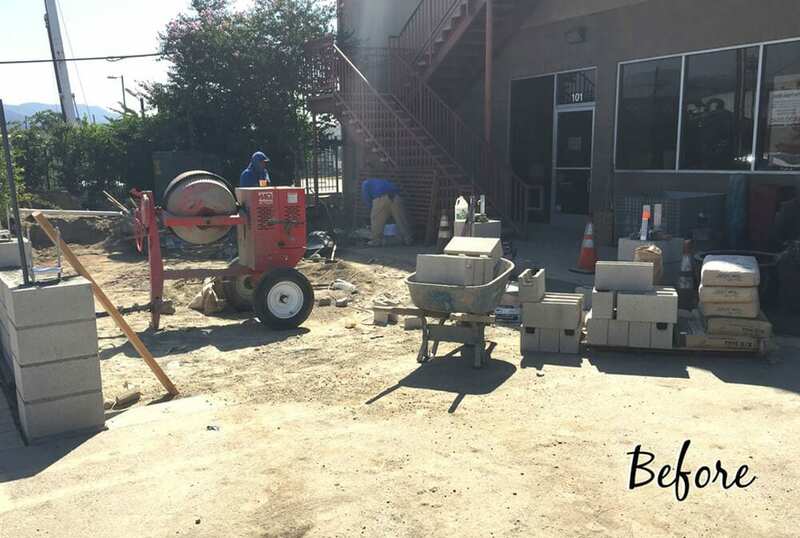 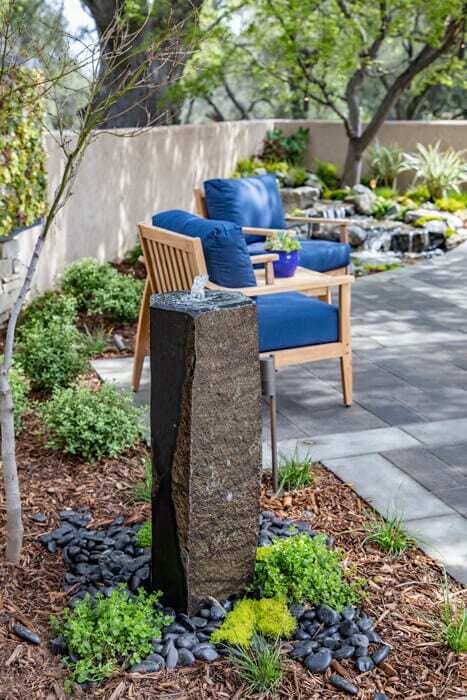 Our modern, clean-cut paver patio is customized to intertwine with large seating boulders. 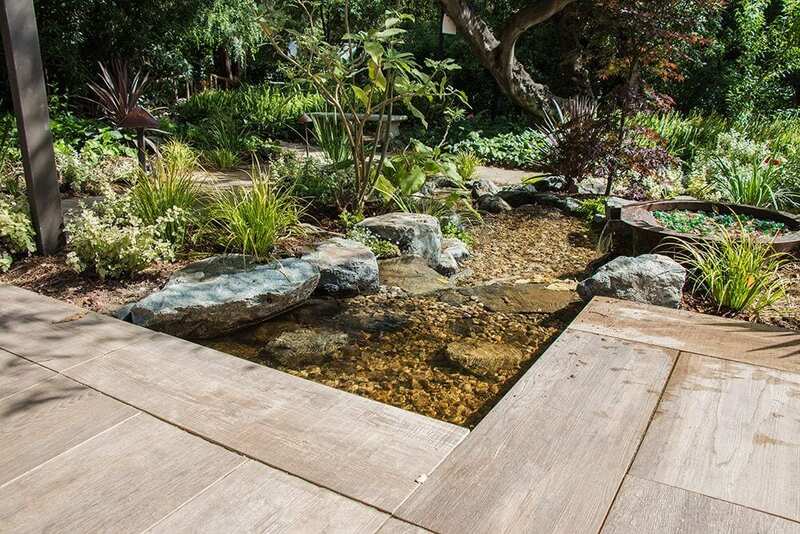 By bringing the pathway right to the edge of the pond, we showcase our favorite cantilever effect. 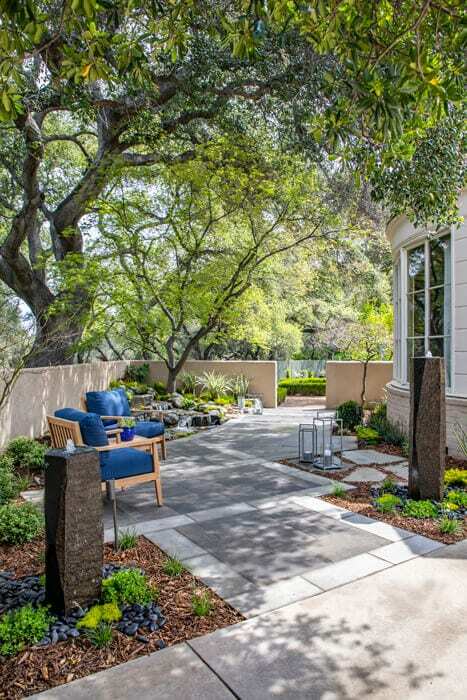 Softening the design, California-friendly plants and a stunning live plant wall surrounds the area, while lights can be seen hanging from the trees, extending the ambiance into the evening hours. 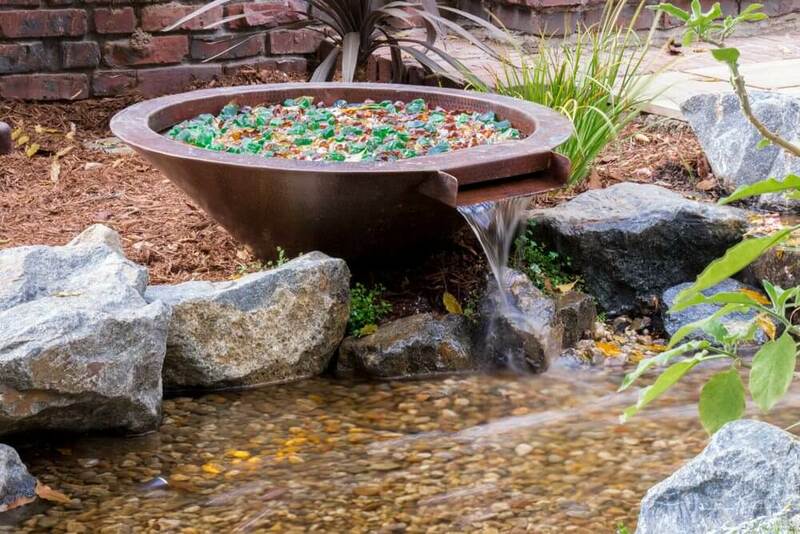 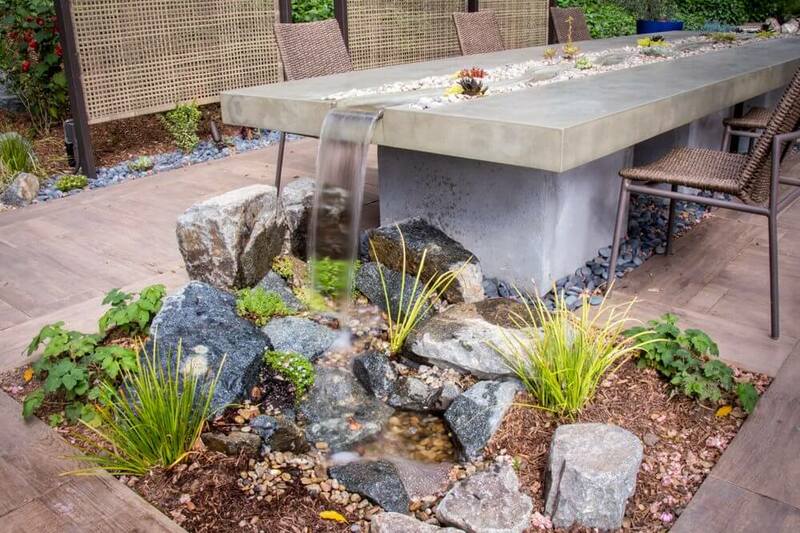 The more water features the better! 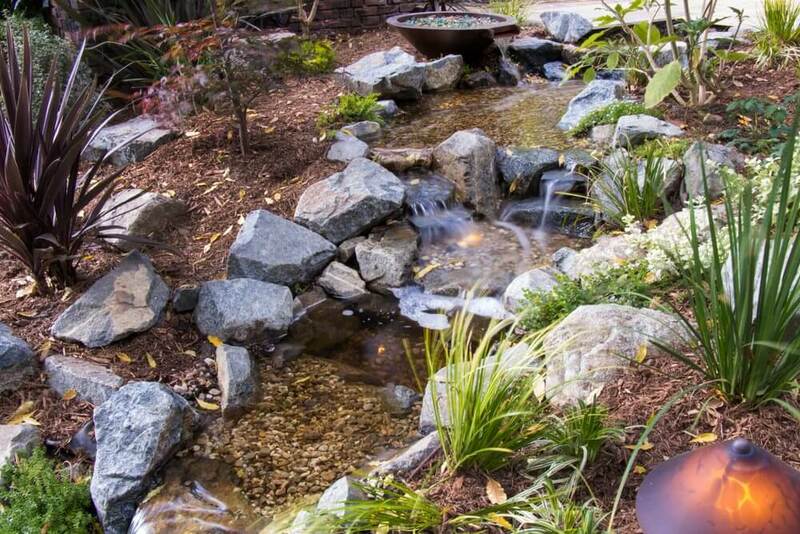 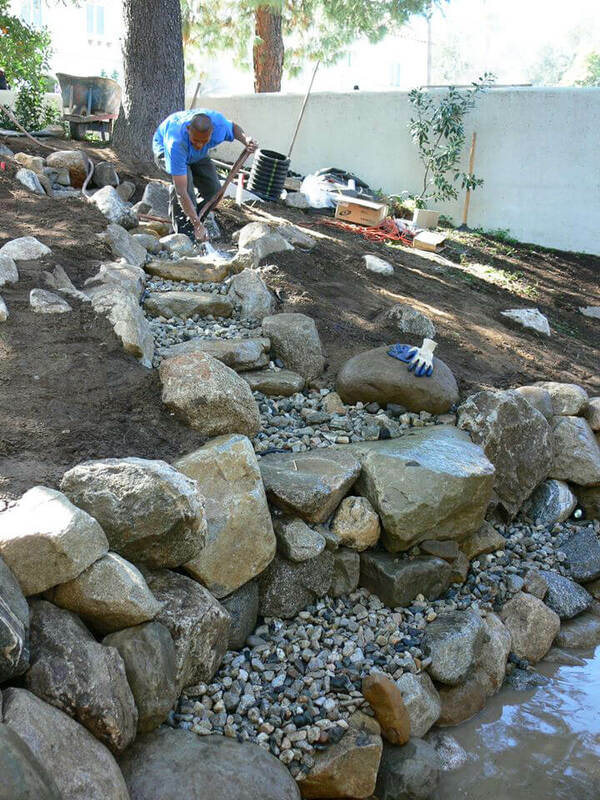 This wandering 35 foot long stream and pond project started as just that. 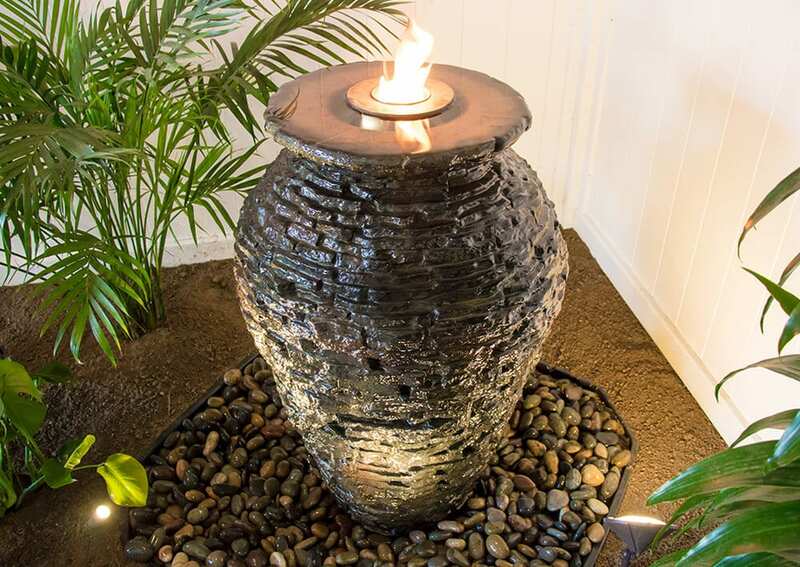 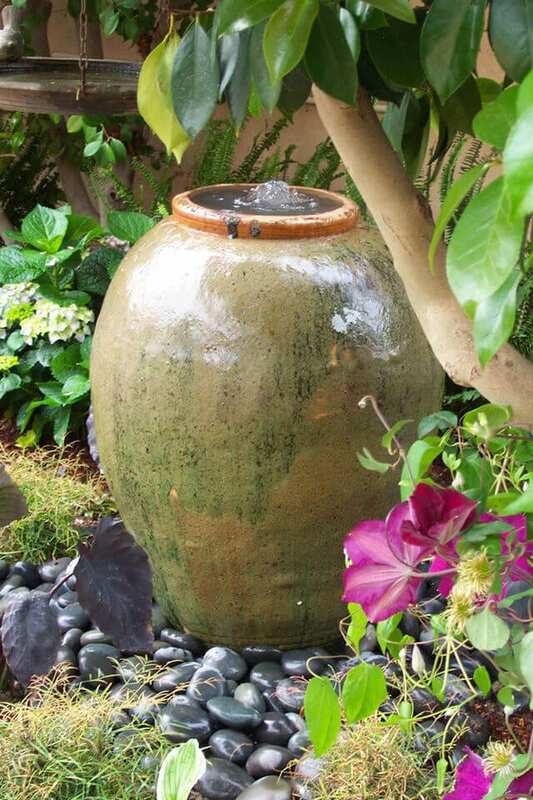 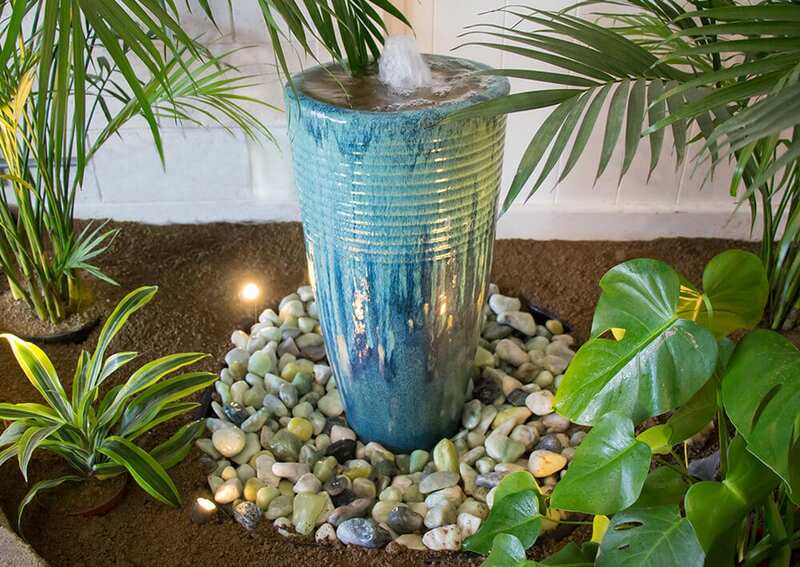 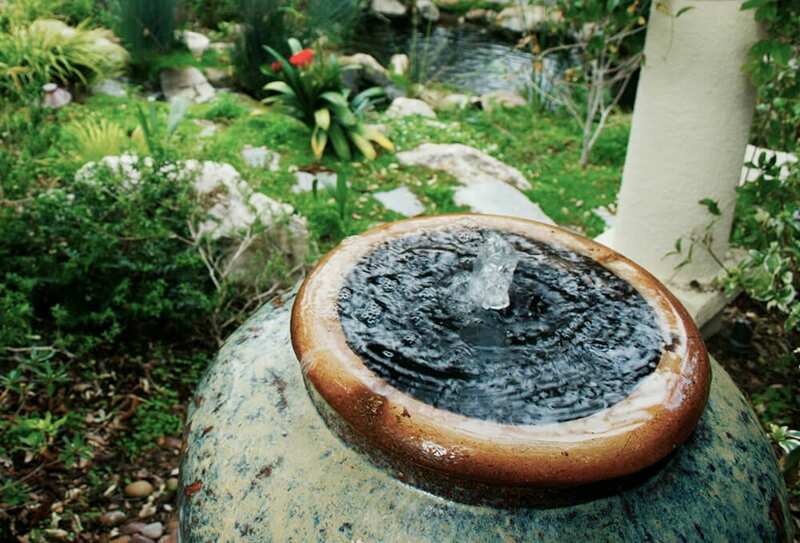 But soon after it was completed, the homeowner added on 4 more bubbling urns along the stream. 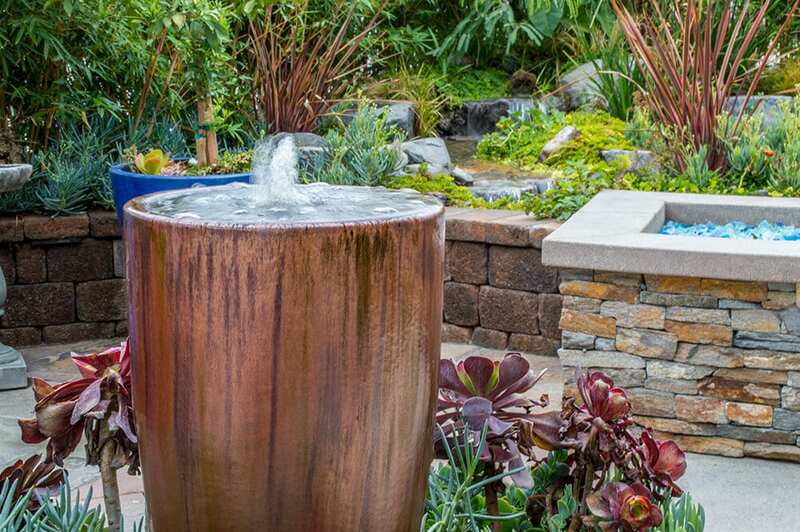 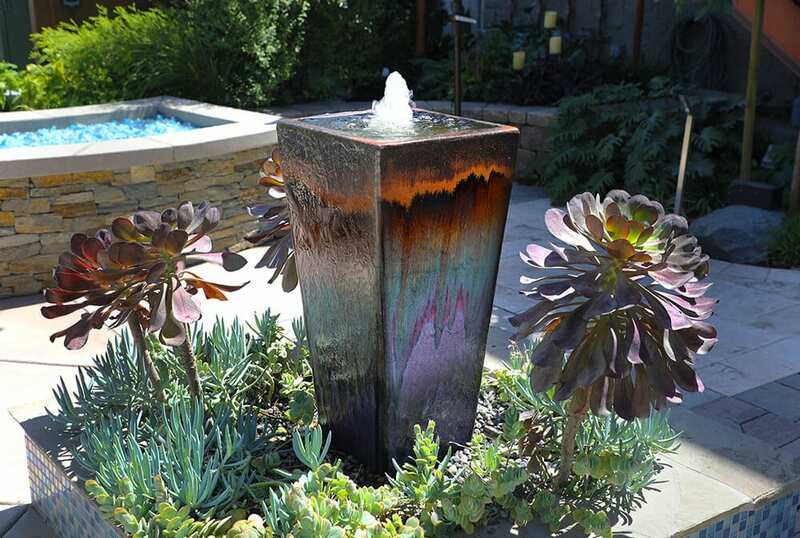 The water features people get the most enjoyment from, are those they can truly interact with. 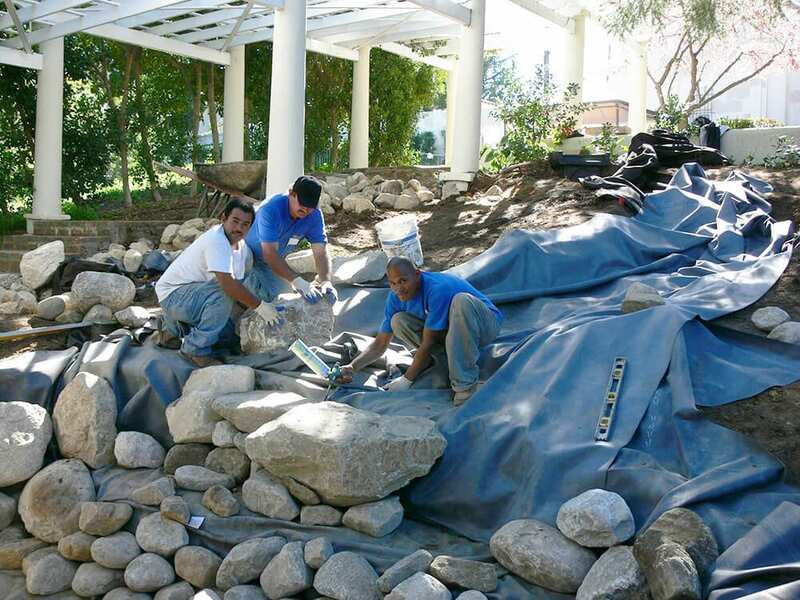 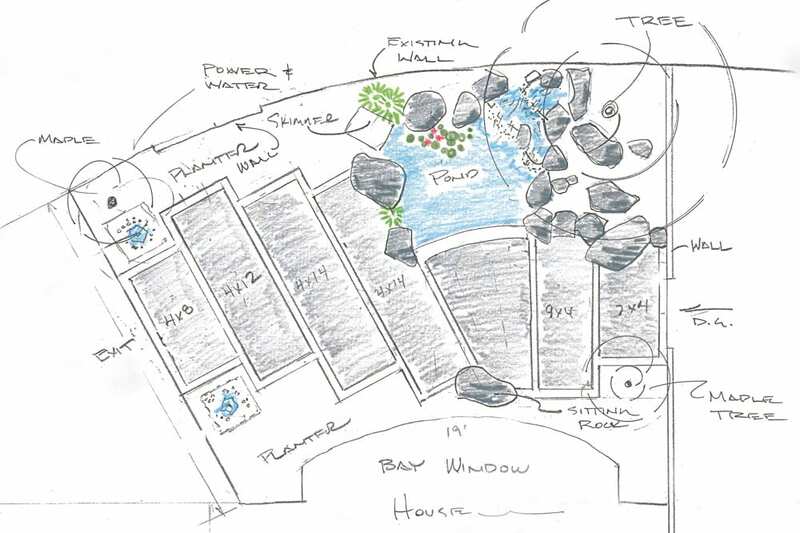 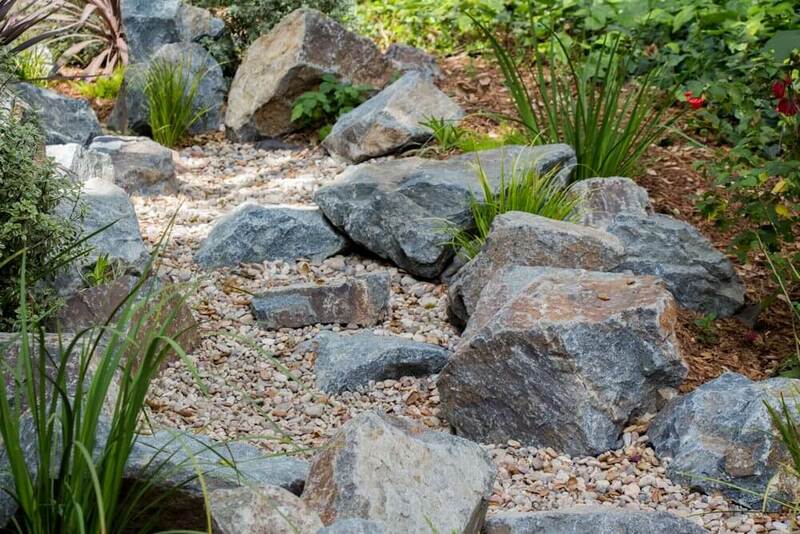 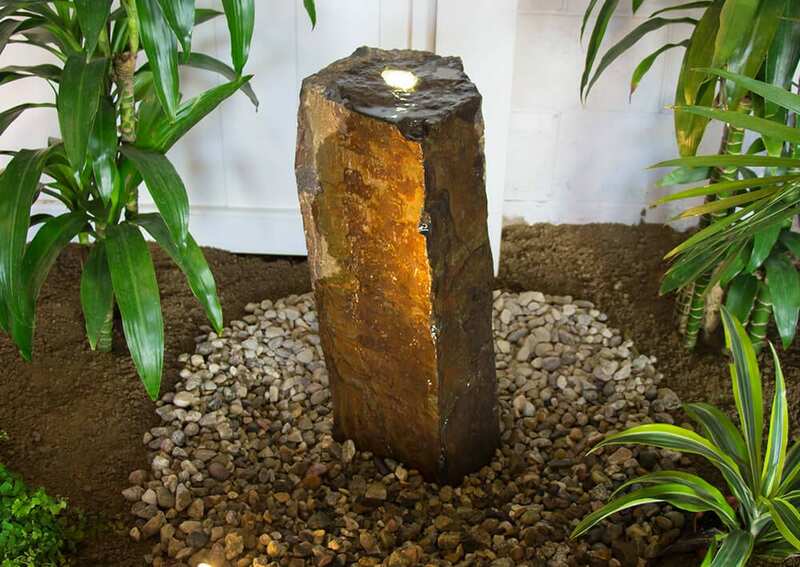 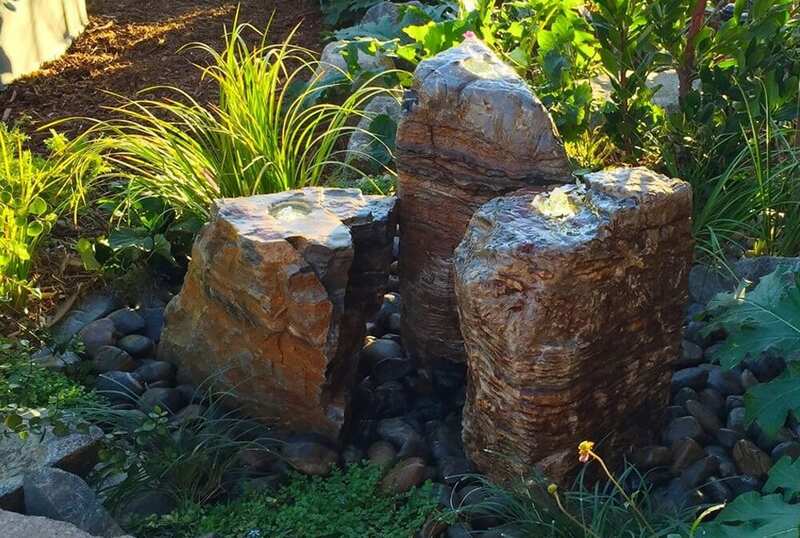 Creating stepping stone pathways and large boulders for both kids and adults to explore is always a creative way to ensure the water feature is enjoyed and appreciated for many years! 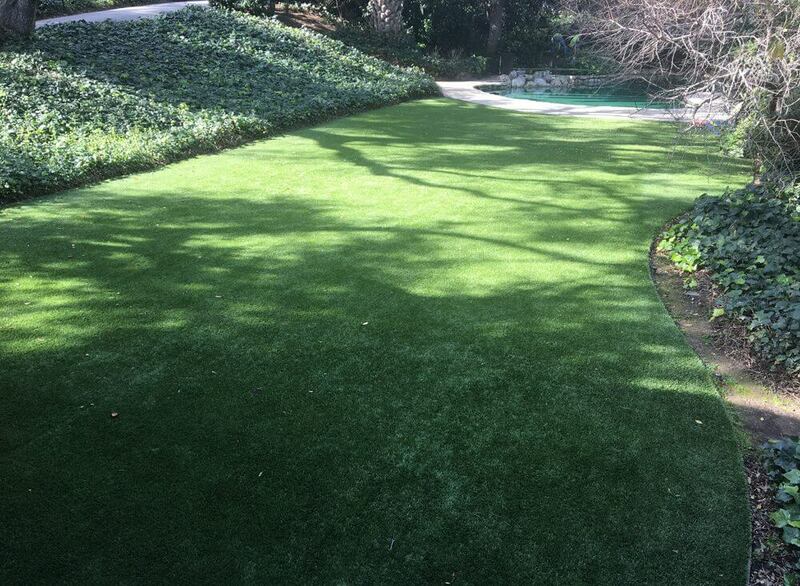 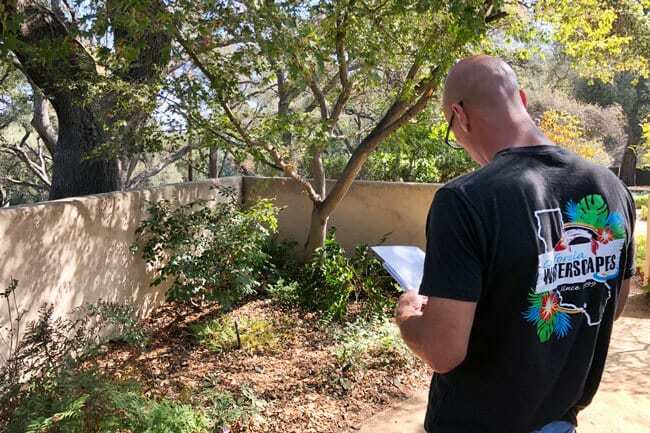 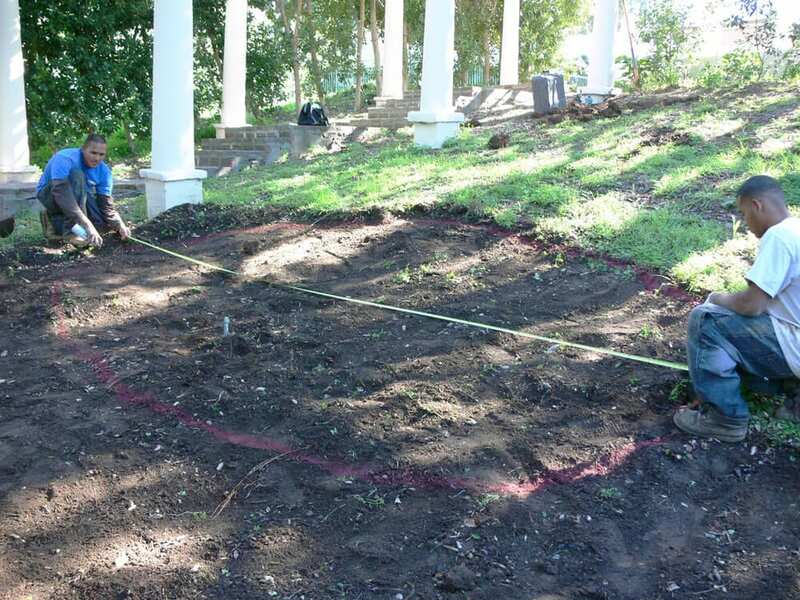 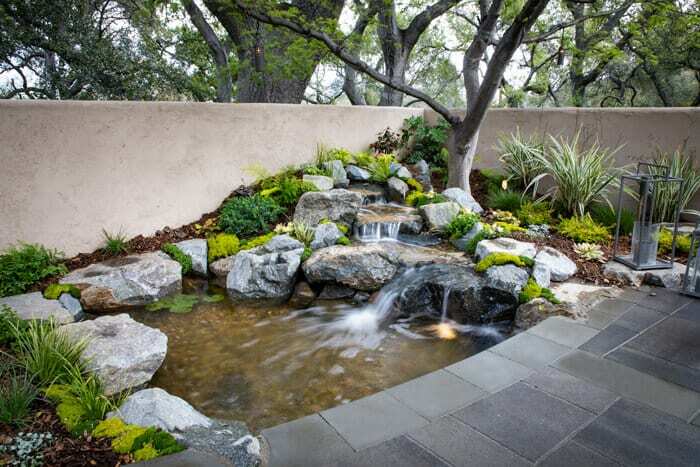 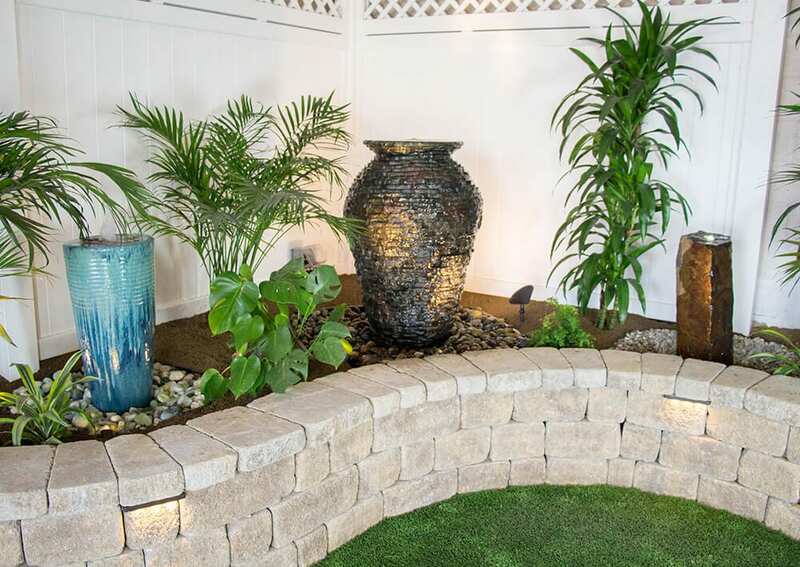 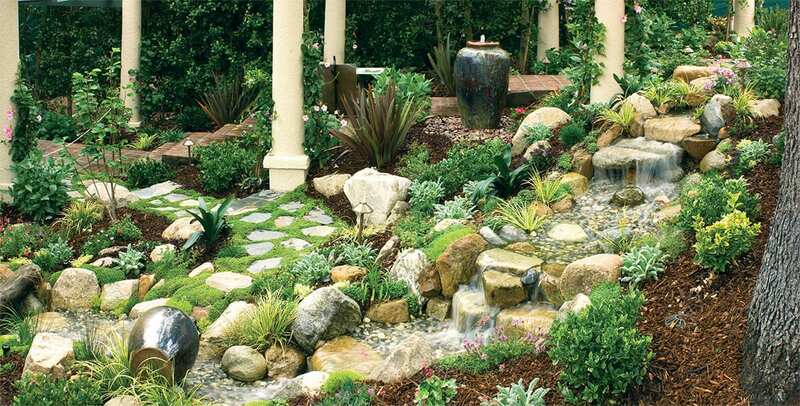 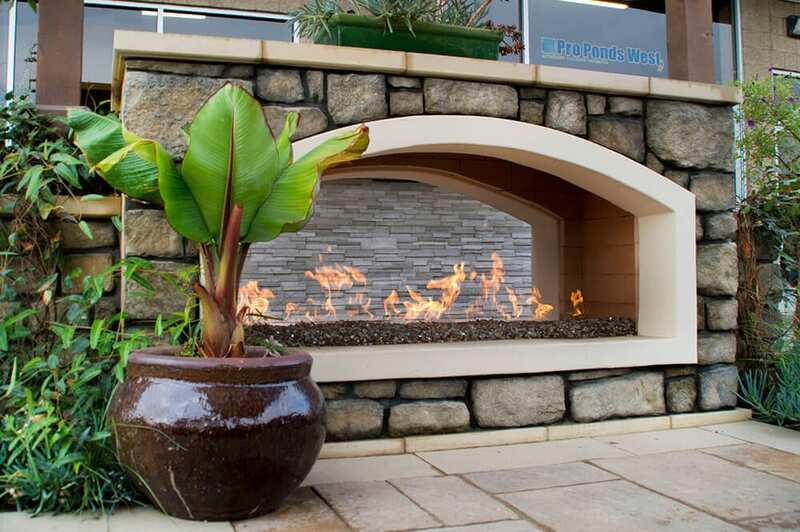 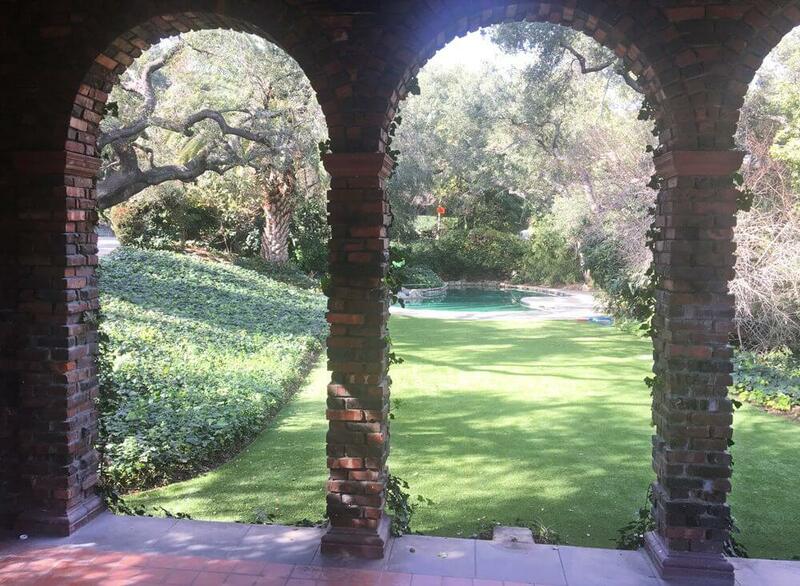 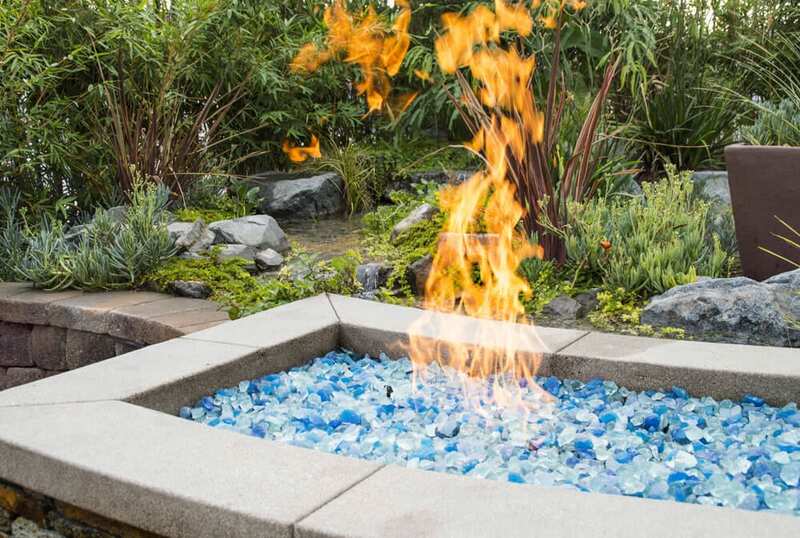 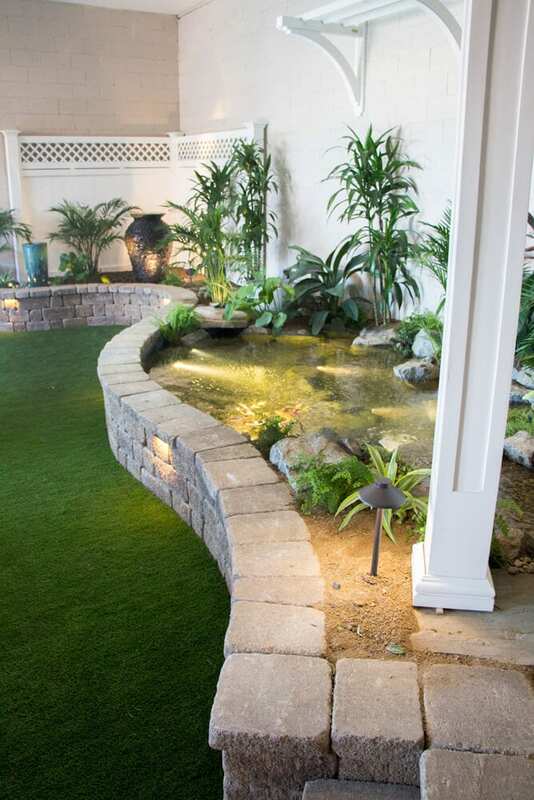 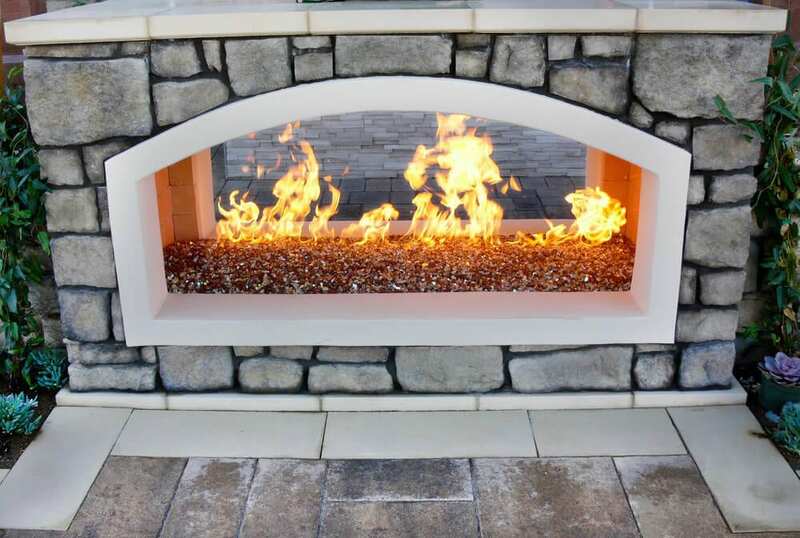 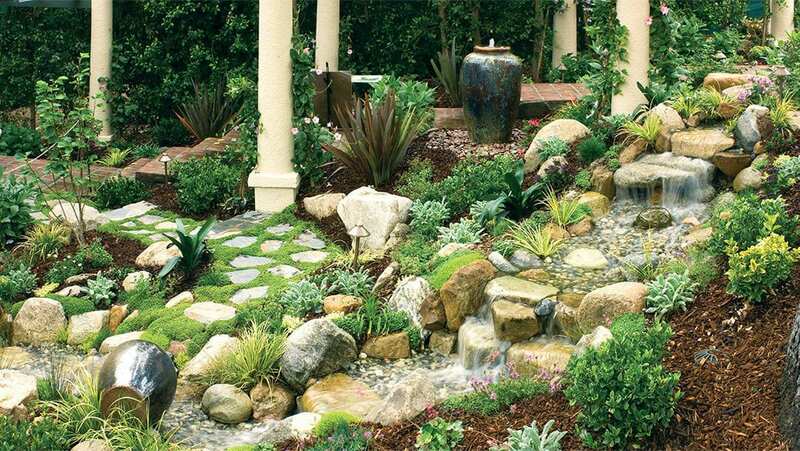 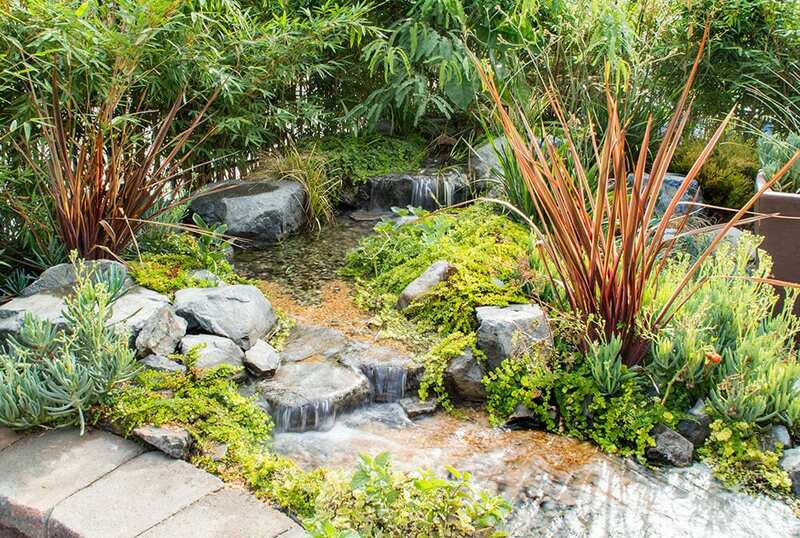 Can you imagine what your backyard could look like? 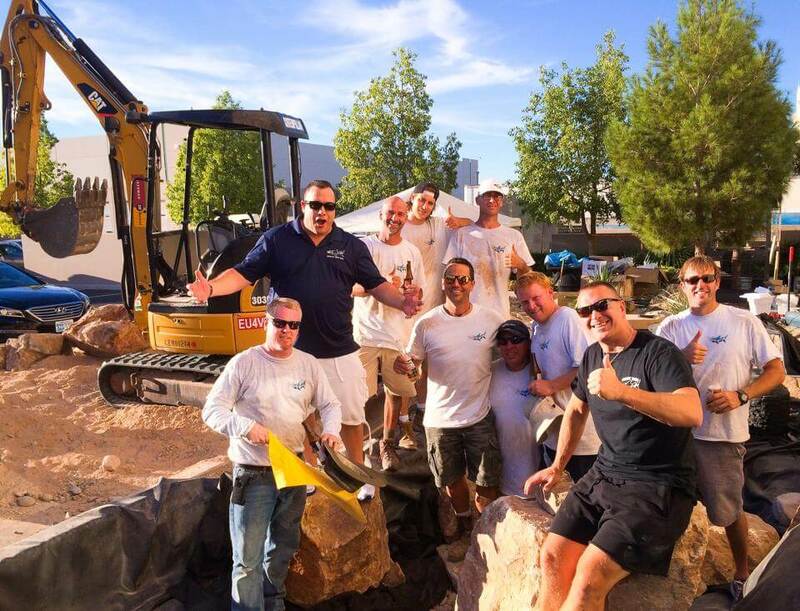 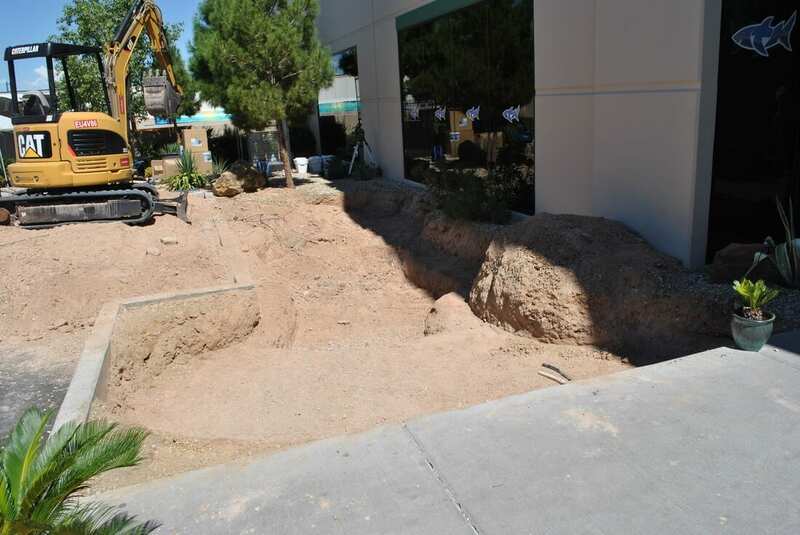 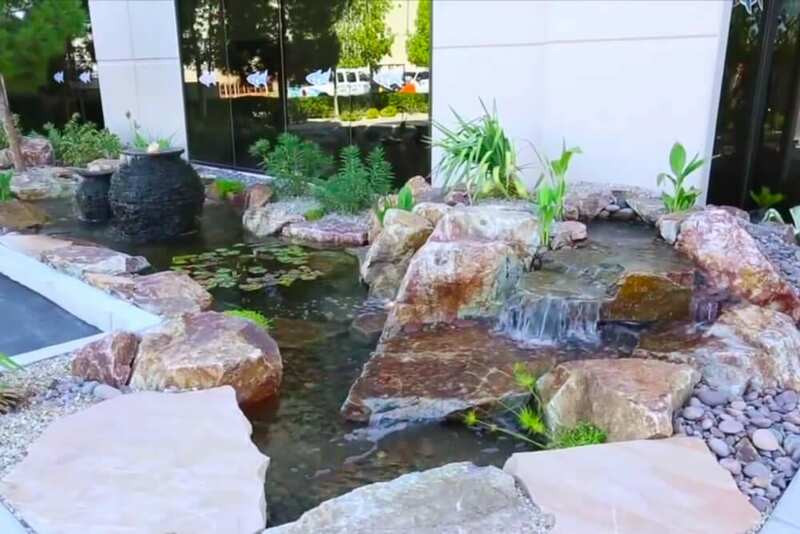 We were invited out to help Nat Geo Wild’s “The Pond Stars” not only build a stunning 15x30′ koi pond, but take it up a notch with adding partially submerged bubbling stacked slate urn fountains along with aquatic plants and koi fish for Animal Planets “Tanked” at ATM Headquarters in Las Vegas NV. 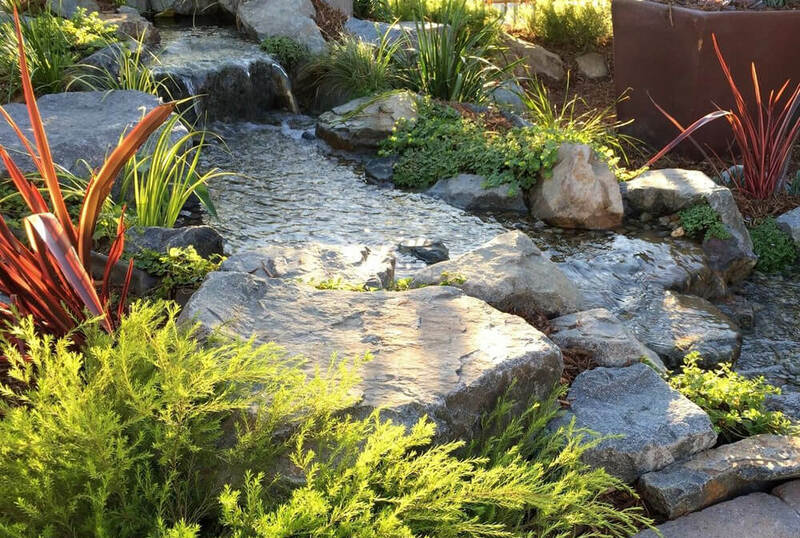 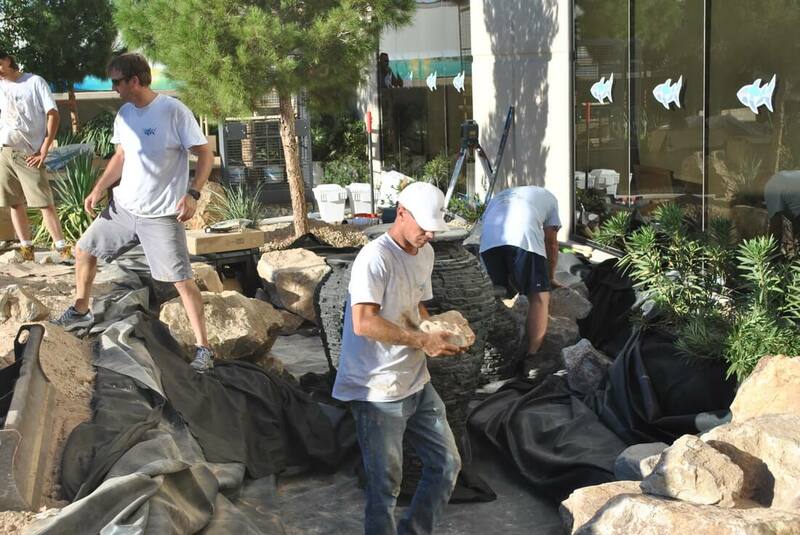 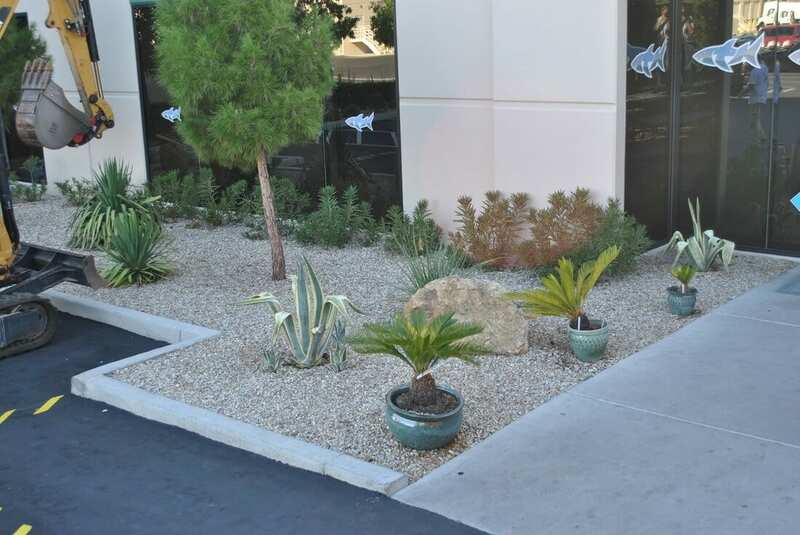 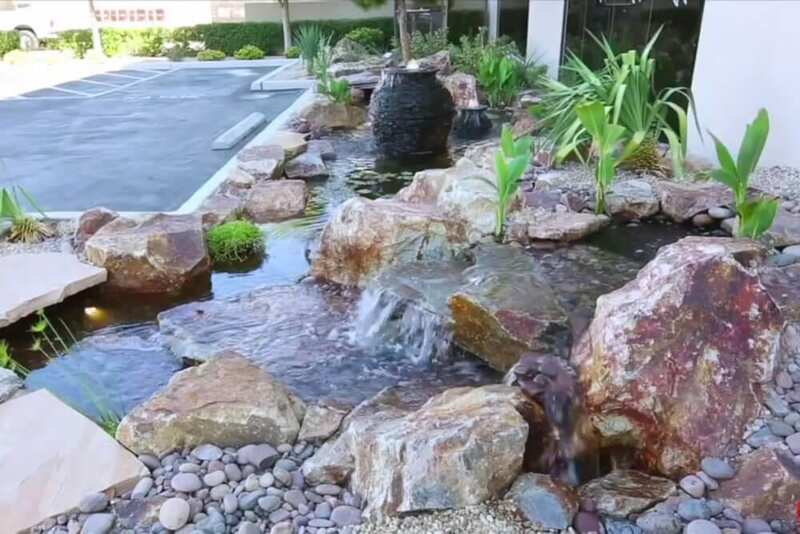 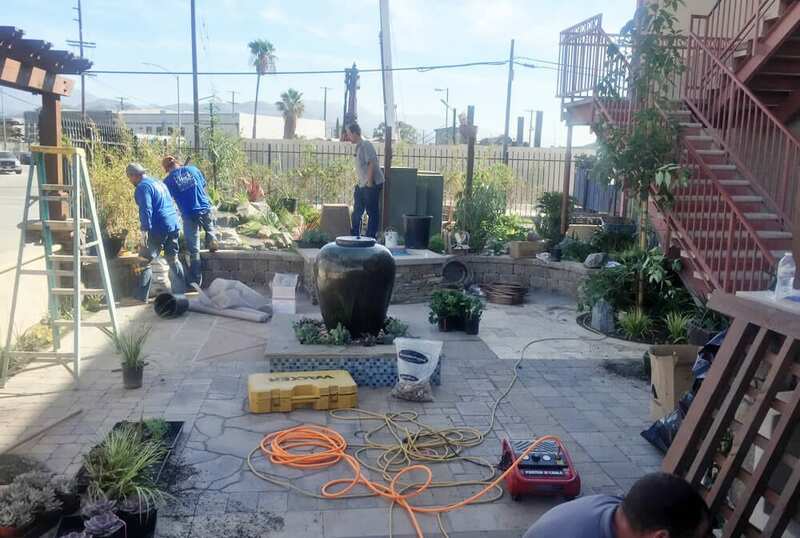 We traveled with our Aquascape team – California Waterscapes, BJA Aquascapes, Atlantis Water Gardens and Full Service Aquatics – and “The Pond Stars” and came together to design and build a water feature for ATM’s entryway that in the end resulted in a stunning and fully functional natural ecosystem! 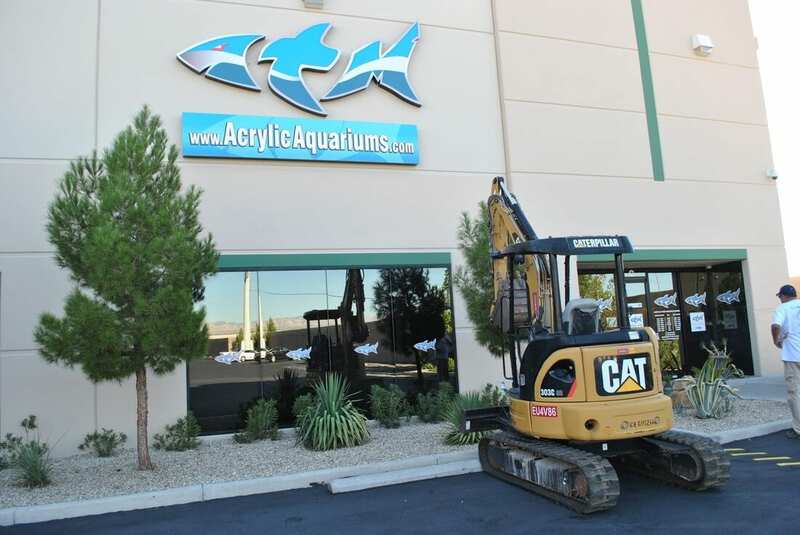 Special credit to BJL Aquascapes for capturing these photos. 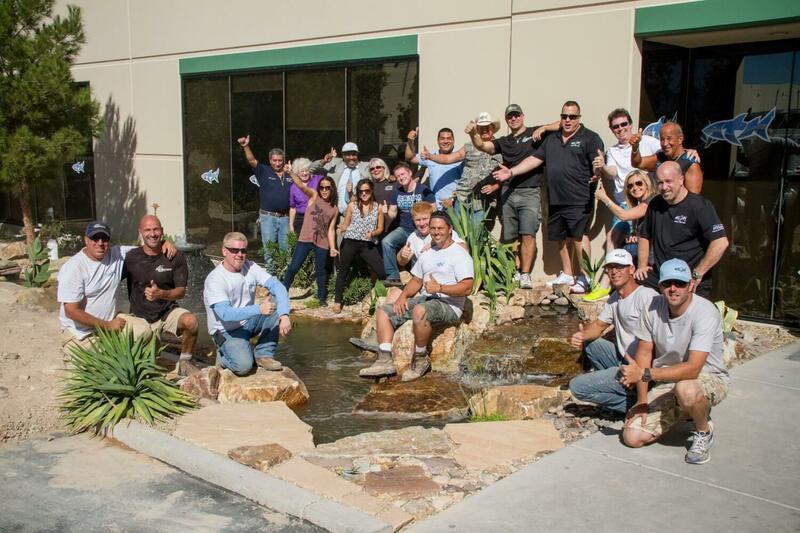 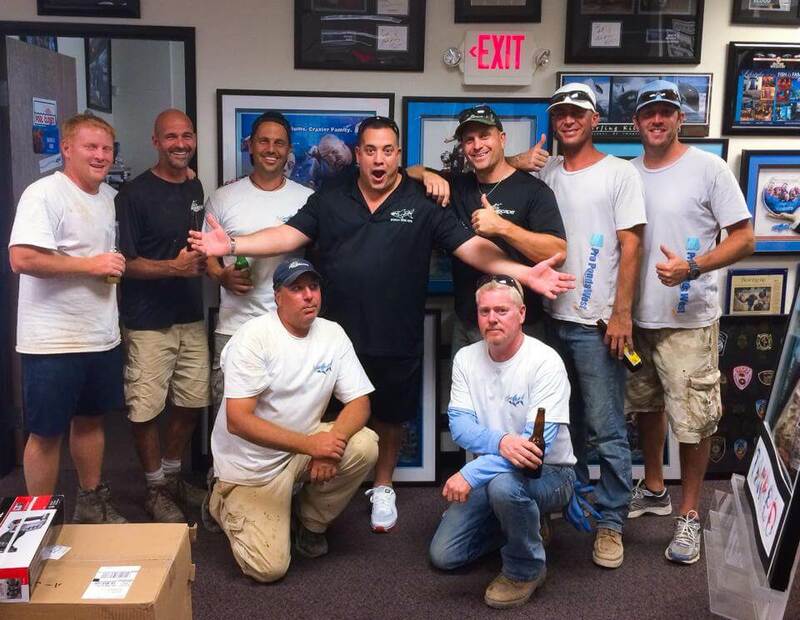 Thank you Aquascape, The Pond Stars and Tanked for calling us to come help you make this dream into a reality!